If you haven't heard Gun Media announced that it has canceled plans for updates and DLC to the IllFonic-developed game, Friday The 13th. "When we originally learned that the game fell within the cross-hairs of this legal dispute, we tried to balance the creation of new content requested by our fans against the maintenance and bug fixing that our community expects and deserves. We attempted to do both within the limits of the legal case." 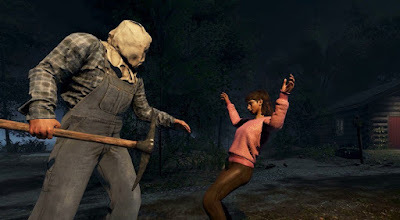 "We’ve now been forced to accept that the lawsuit makes future content for the game, including alternate play modes, new playable Jasons and Counselors, and new maps, unfeasible now or in the future. Although the listed content types will be affected, we remain committed to launching dedicated servers on our console platforms and providing the continued maintenance and bug fixing important to supporting our fan base." Which doesn't seem to make a lot of sense considering that 11 months ago they were assured by Cunningham and Horror INC. that the game would be safe from any litigation. Friday the 13th, the title, was created by Cunningham. If Victor Miller were to win he would only have claim to the story of F13. Meaning characters (Pamela, young drowned Jason, Alice, Crazy Ralph), Location (Camp Crystal Lake) and the backstory of Jason. The actual Jason that most are familiar with didn't come around till part 3 and again it was Cunningham's idea to have Jason be the killer in future installments. As you can see the Friday the 13th Game would only have to contend with with minor changes if Victor Miller were to win his case and could not arrange a deal for their use with Gun Media. And that is only if they continued to update the game with anything involving the original movie and that what they created for the game was after the termination of rights date (July 1, 2018). Meaning if they were working on Crazy Ralph prior to the actual rights termination date then he would be exempt from new negotiations. I believe the answer to why Gun is halting the game is very simple. They are, and have been, in over their heads and can not continue. From the very beginning the game has be plagued with server issues, bugs and glitches. From characters spawning in walls to not being able to find a match the game was just not ready for release. Though updates have been made the game itself is far from an ideal finished product. A Friday the 13th Game was, and is, a fantastic idea. The team behind the game do have an appreciation for the films and showcased that by bringing in Kane Hodder for the MoCap. But they still bit off more than they could chew and now there is no way around it. I understand the trials of being an indy company but promising the moon and only delivering a rock is unacceptable by any standards, especially when those promises were backed by real dollars from real people. No the Victor Miller lawsuit did not kill the Friday The 13th game, but it did provide a hell of a scapegoat to a company that put out a product that just wasn't ready for market.